The Gold museum isn’t just a room with gold bullions labelled with dates; that’s how I imagined it. We visited on a Sunday, which had the added bonus of free entry. 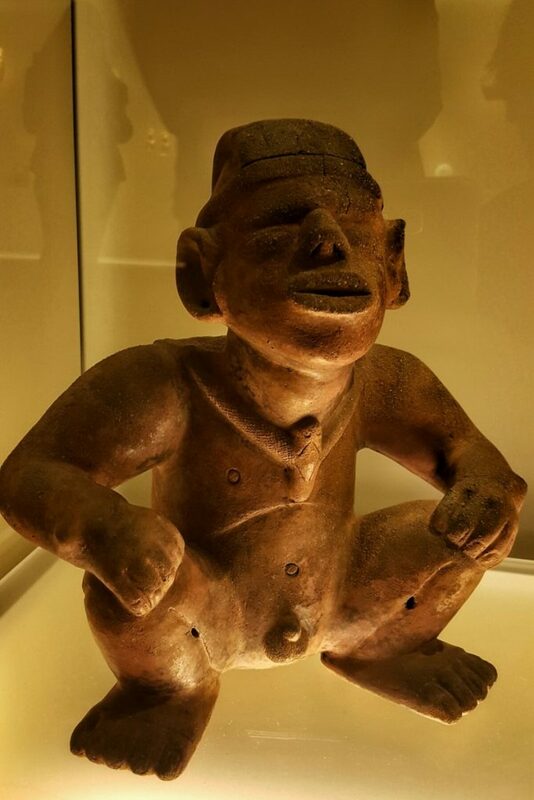 They also let you take photos, the only museum we’ve been to in South America where we could. The only downside was, being free and the weekend, the place was quite busy. If you’re reluctant to visit because you are expecting just a ransom assortment of gold bits and pieces, then you’re in for a surprise. The museum is vast, spread across four floors. And thanks to the financial backing of a bank, the museum is very well curated. 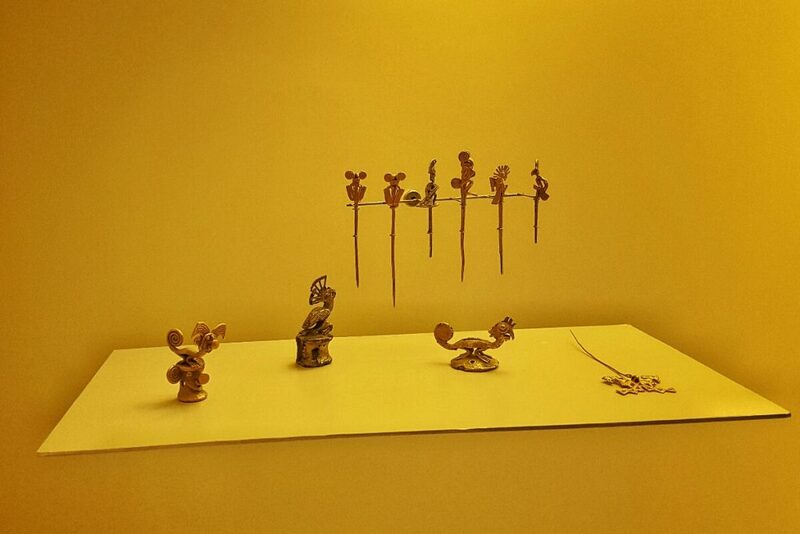 The museum uses gold as an anchor point to guide you through the history of the local cultures. 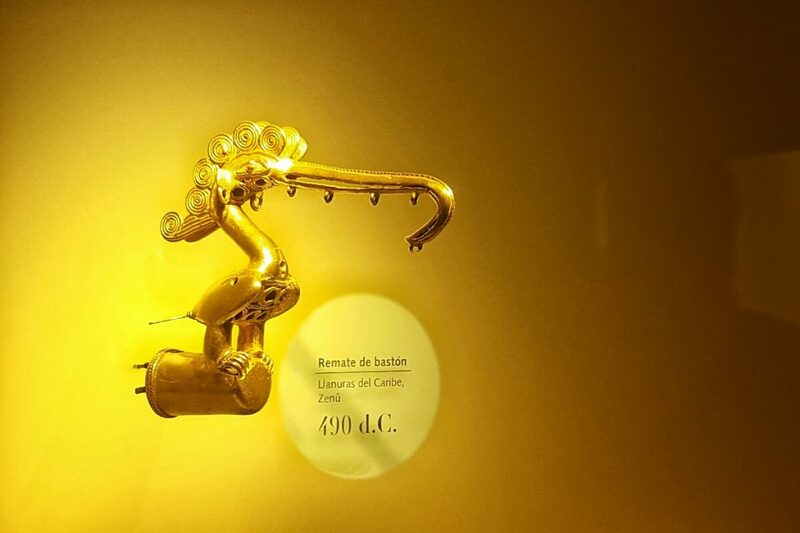 Gold, and metallurgy in general, were so important to these cultures. So using gold as a lens to see how cultures varied and progressed through time and across vast areas is actually quite effective. 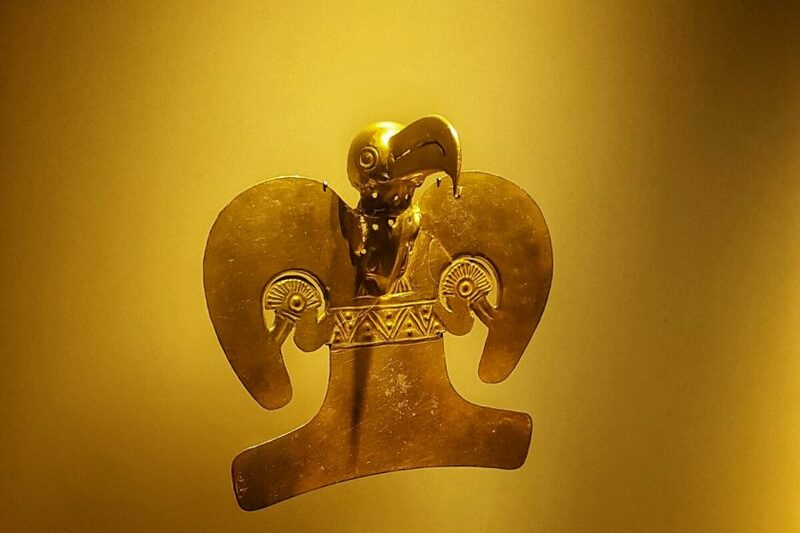 The ancient peoples of Colombia and greater South America taught themselves to forge tools, idols and jewellery out of precious metals. The whole conquistador obsession was with finding these objects, melting them down and sending it back to Spain. 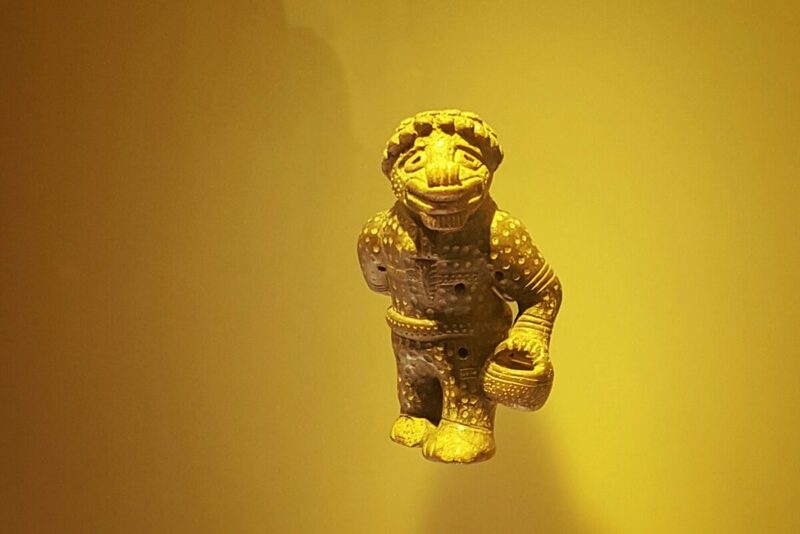 Over four floors, the museum displays what was not stolen by the Conquistadors, many beautiful intricate pieces. The skill of these ancient artisans is quite incredible. Their knowledge of metalwork is on show with not just gold, but different alloys of gold, copper, and silver, each with different properties. 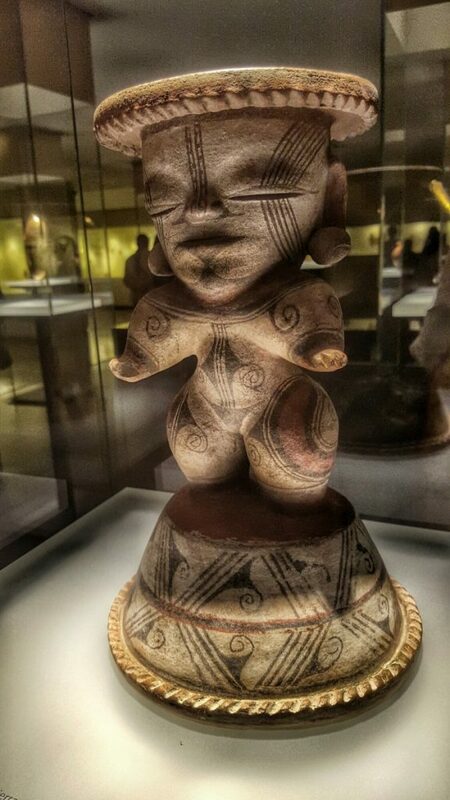 Artifacts range from the incredibly small and intricate, to huge statements of grandeur, from simple objects owned by the less important, to the personal belongings of kings and nobility. The museum shows the methods and tools used to create them, and compares the different indigenous group’s styles across thousands of years. For these ancient cultures, gold, metals, and the science and technology to work with them were deeply intertwined with religion and custom. I actually learned quite a lot from our visit and found it really interesting. They also had really good English translations, which was nice. And if you go on a Sunday it’s free, so why not.